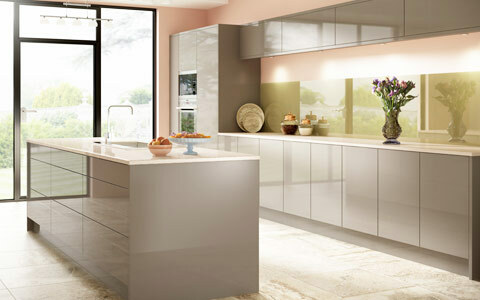 High Gloss kitchen doors feature an elegant and mirror like kitchen door finish that creates beautiful light reflections. A glossy surface finish is stylish, clean, modern and durable. 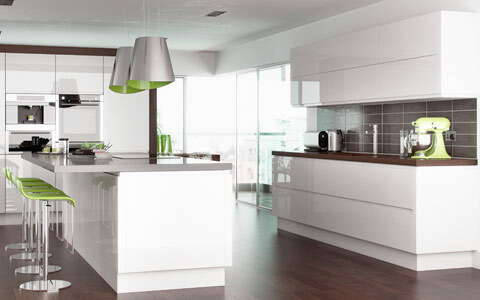 Our high gloss kitchen doors collection includes Lacquered, Vinyl, Acrylic, Wood Veneer and Glass kitchen doors. Use any of our high gloss kitchen doors to create your dream high gloss kitchen that is easy to maintain, durable and most of all, stylish. Made to measure sizes make our high gloss kitchen doors you ideal kitchen door replacement option. 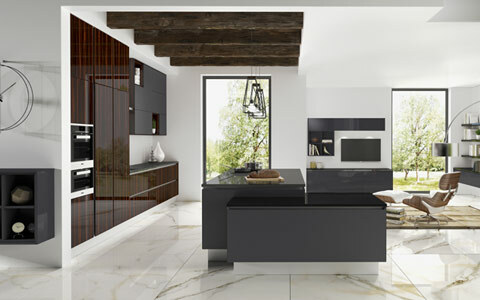 View our ultimate made to measure high gloss kitchen doors collection consisting of different type of doors to suit every budget. Sophisticated collection of made to measure lacquered doors. 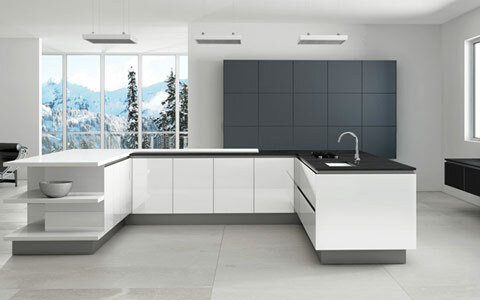 Durable High Gloss vinyl kitchen door collection consisting of 16 modern colours. Available in over 53 door styles. Premium and exclusive real glass kitchen doors available in made to measure sizes. Available in any colour. Beautiful wood veneer collection available in high gloss lacquered finish. Natures finest timber collection. 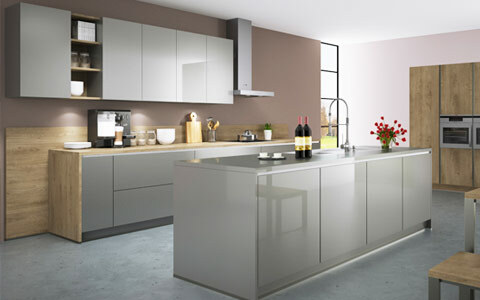 Affordable high gloss made to measure acrylic kitchen doors collection. Choose between matching or glass effect edging. 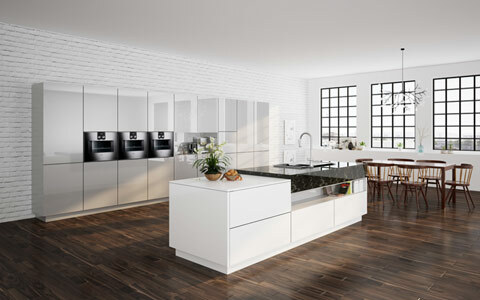 Popular J-pull high gloss handleless kitchen door collection. Seven modern and elegant colours. 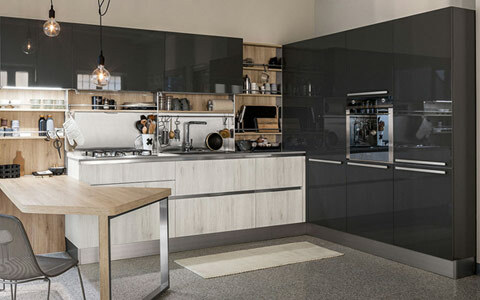 If you are looking for something exclusive and premium then consider our range of high gloss metallic lacquered kitchen doors. Lacquered finish is created by metallic lacquered paint being repeatedly sprayed on the MDF backing.